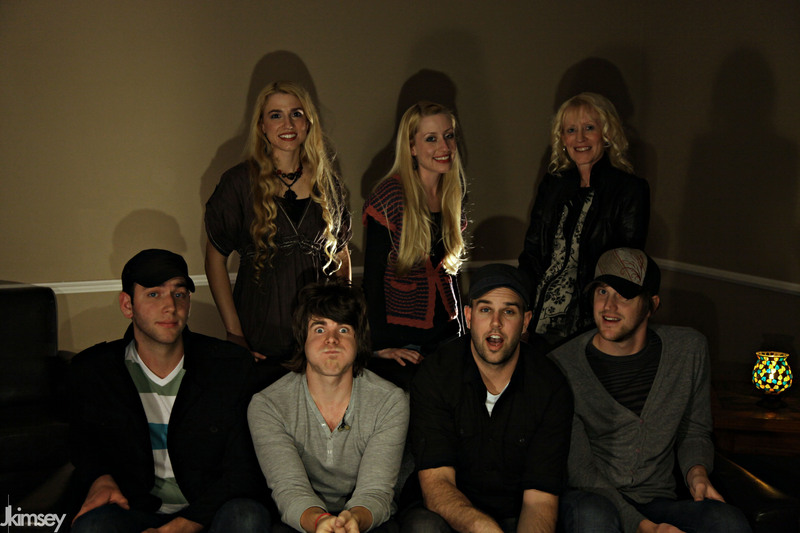 Soul Check TV is a Christian TV show featuring backstage interviews, music videos, family reality fun and more! Host Sarah Kittle works on the show with her family, including Lynette Kittle and Hayley, who are also featured on the show. Guests discuss their music, faith and relevant issues. Soul Check TV exists to be a positive influence in the world, share the Gospel and encourage believers in their walk with Christ. Sarah, Hayley and Lynette Kittle with The Museum. Photograph by Jonathan Kimsey. Duck Dynasty’s Sadie Robertson, American Idol contestant Colton Dixon, Jars of Clay, Switchfoot, Lecrae, Leeland, Rebecca St. James and more have all been featured on the show. The show travels to various locations for interviews, whether it’s backstage at a concert, a music festival, a cave, an airport or just about anywhere! Soul Check TV airs on NRBTV, DirecTV Channel 378 and select local affiliates. NRBTV is available to 45 million U.S. households. Thousands more stream NRBTV online, on mobile devices, and via Roku streaming, expanding to viewers in countries like Canada, China and the U.K.
Sarah Kittle is the Host, Executive Producer & Editor of Soul Check TV. Lynette Kittle (Sarah’s Mom) and Hayley (Sarah’s sister) are also featured on the show and help film the backstage interviews. (We’re an all girl film crew!) Lynette is also Associate Producer. Hayley also sometimes co-hosts and is a videographer. Sarah has a passion for sharing the Gospel and encouraging Christians in their walk with Christ. She’s also an advocate for abstinence and pro-life, speaking on the show to viewers, to help save the lives of unborn babies and encourage people to honor God in their lives. Our hope is that God will touch you through our program. We believe that God loves everyone and created everyone with a purpose. In the video below, host Sarah shares the Gospel – God’s message of love and salvation available to everyone, that we might know the love God has for us, be forgiven of our sins, and spend eternity with Him in Heaven. We pray God will speak to your heart. “That if you confess with your mouth, ‘Jesus is Lord,’ and believe in your heart that God raised him from the dead, you will be saved,” (Romans 10:9).